Clyde Marine Training (CMT) are delighted to announce that it has moved its operations to Scotia House, Clydebank, effective from Monday 1st October, bringing the Company within closer proximity of sister companies Clyde Training Solutions and Clyde Uniforms. Colin McMurray, Director, CMT said: “There are a number of factors for the move which will bring benefit to the Company. 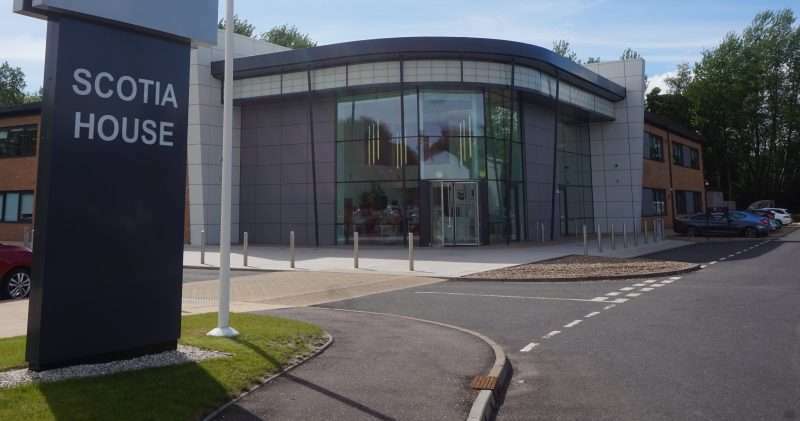 CMT’s offices in Hillington were planned as a multifunctional space with training rooms and interview rooms, with a compromise on office space to fit all of the uses into a single floor plan. “Scotia House offers considerable office space with existing training rooms nearby in Alba House, so it is a good fit. With CTS and Uniforms already in Clydebank it therefore made sense to bring the threads together from a management perspective. CMT’s customers have been made aware of the move and the fact that Clyde Medicals will continue to operate from the head office of The Clyde Group, Seaforth House in Hillington.